Opening hours: Most of the large department stores in Frankfurt are open from Monday to Fri from 9:00 to 20:00, and Saturday from 9:00 to 18:00. Erected in 1880 with the help of private donations, the Old Opera House was totally destroyed during World War II. The facade and the forecourt were reconstructed according to the original plans of the architect Lucae in 1981. On the third floor, there is a restaurant and bar with a terrace, which stays open until late. 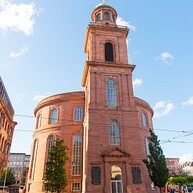 The Main Tower was completed in the year 2000 and has quickly become one of the most popular sights in Frankfurt. It measures 200 meters and invites the general public to visit its rooftop observation platform. 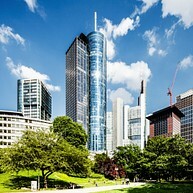 From there, you will have the most spectacular panoramic view of Frankfurt and the surrounding region. One of the oldest and most significant museum foundations in Germany and one of the world's most outstanding art museums, featuring masterpieces from seven centuries of art. Here you will find works of art by masters like Rembrandt, Renoir, Rubens, Van Eyck and Botticelli. The completion of the Städel's underground extension is one of the most important events in the art institute's long and celebrated history. The groundbreaking architecture of the new hall is a must-see for visitors of Frankfurt. On board KD you can enjoy the best view of Germany’s most impressive skyline. 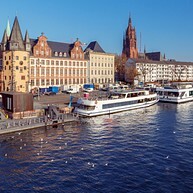 During this one-hour panorama cruise, you will pass by the Römer, the Museum Embankment and St. Paul's Church. A great way to discover the famous skyline of Frankfurt while relaxing and listening to the stories on the past, present and future of the city. One of Frankfurt’s most popular attractions is the Applewine Express. Take a tour on this merry streetcar and become better acquainted with downtown Frankfurt while enjoying pretzels and a glass or two of Frankfurt apple wine. This particular way of sightseeing also entails background music and plenty of laughs. The starting point of the Ebbelwei-Express is at the zoo, but you can hop on and off at any of the stops. Römerberg is a medieval square and the hub of the Old Town, Altstadt. 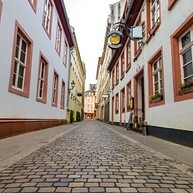 The original Römerberg was destroyed during World War II, but it has been rebuilt since and nowadays you can once again stroll around this beautiful square and look at the various buildings. Hopefully your timing is right and you will get to witness one of the public festivals that are held here. 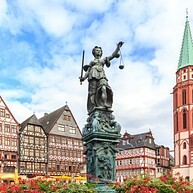 At the centre of the square lies the Fountain of Justice (Gerechtigkeitsbrunnen), where the statue of goddess Justitia holds the scales of justice. Perhaps the most famous building here is the "Römer", which is the city hall, and has been so for the last 600 years. Consecrated in 1833, this church served as the seat for the first German national assembly in 1848, which in turn provided the basis for Germany’s present-day constitution. Today, the site hosts award presentations as well political and cultural events. Stepping into the Frankfurt Zoo is like entering another world: hold on to your hat while you marvel at all the majestic African animals and the exciting, colourful world of Madagascar. 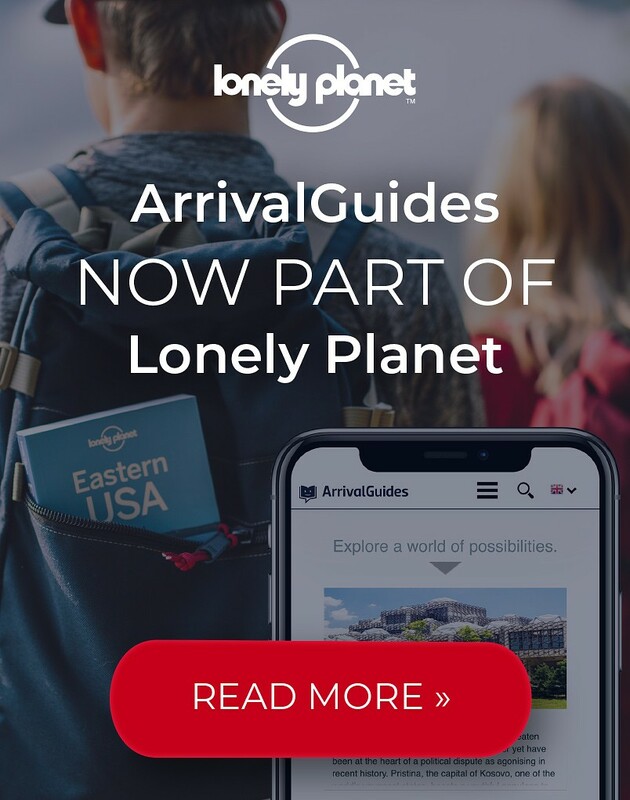 The list of foreign and exotic places and settings goes on and on and there is a total of 4,500 animals and over 500 species from across the globe here. 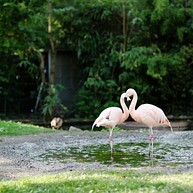 Apart from the fixed features, there are festivals, exhibits and themed tours to enjoy as well. 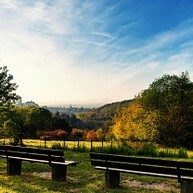 Lohrberg is an amazing lookout point which gives you panoramic views over the city. There is an entire park here well suited for hiking or sports, and you can also opt to come here in the summer as there are barbecue areas available. 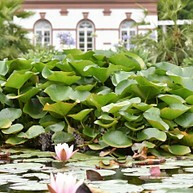 The MainÄppelHaus will give you an insight into the topic of gardening and agriculture. The Eiserner Steg is a pedestrian bridge built in 1869 with stunning views of the river Main and the city's skyline. 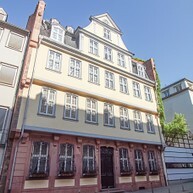 It connects the centre of Frankfurt with Sachsenhausen. This is one of the most popular photo spots so do not forget the camera. This unique boulevard of cultural institutions comprises first-class museums presenting everything from applied arts, film and architecture to art, Jewish history and ancient sculptures. Famous architects such as Richard Meier and O.M. Ungers were involved in the construction and expansion of many of the architectonic gems on display. A few examples are the fine art Städel Museum with its underground exhibition spaces, the German Film Museum, the Communication Museum and the Jewish Museum. The Museum Embankment Festival, one of Europe's largest cultural festivals, takes place every year at the last weekend in August. Frankfurt’s botanical gardens consist of 20 hectares of parklands and 9,000 square metres of greenhouses replete with flora of the most diverse climate zones. Internationally renowned exhibitions and festive events provide a colourful fringe programme. 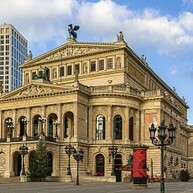 The English Theatre Frankfurt has gained fame as the largest English-speaking theatre in continental Europe. It has become a major player in the Rhine-Main region's cultural scene since its foundation in 1979. Its repertoire comprises comedy, drama, poetry slams and musicals. The Dialog Museum in Frankfurt's east end is no ordinary museum: Dialogue in the Dark is an exhibition to discover the unseen. Blind guides lead the visitors through 6 completely lightless rooms in which everyday situations are simulated, such as walking through a park, a boat trip, or visiting a bar.